Found 18 file extension associations related to Sound Forge and 10 file formats developed specifically for use with Sound Forge. Award-winning Sound Forge digital audio editing software includes a powerful set of audio processes, tools, and effects for manipulating audio. Sound Forge software allows you to edit, record, encode, and master nearly any form of digital audio including WAV, AIFF, and MP3. 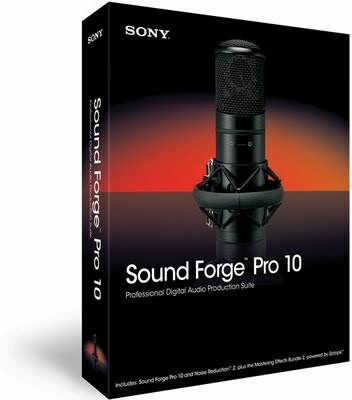 Whether you're new to editing audio or you're a seasoned audio engineer, there is a Sound Forge product that is right for you. Sound Forge Audio Studio software is the easiest way to record, edit, encode, and master audio on your PC. Includes vinyl recording and restoration and new Vocal Eraser™ plug-in. The Sound Forge professional digital audio production suite includes everything you need to quickly get from raw audio to finished master. Includes CD Architect software. This professional application is ideal for designing, mastering, and burning Red Book audio CDs. Perform full PQ code editing, create live-style CDs, and import regions from Sound Forge. If you need more information please contact the developers of Sound Forge (MAGIX AG), or check out their product website.